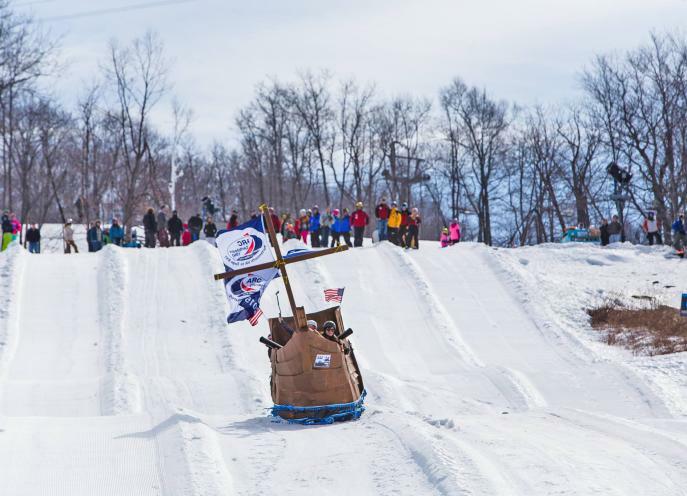 With endless attractions and events this four season destination offers entertainment for all ages! 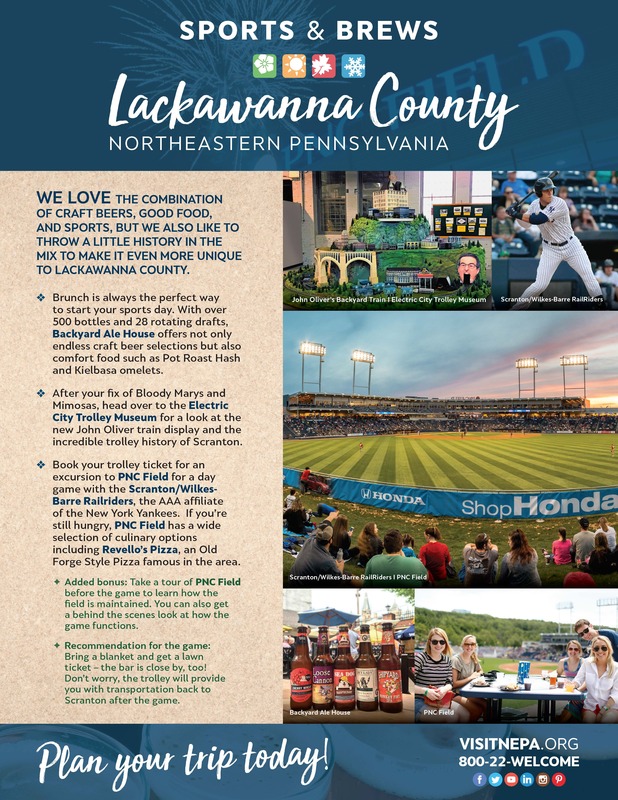 Easy access to major highways including 81, 84, 380, 80, and 476 make Lackawanna County a central location for your attendees. For those traveling by plane, the Scranton Wilkes-Barre International airport is just outside the city of Scranton. 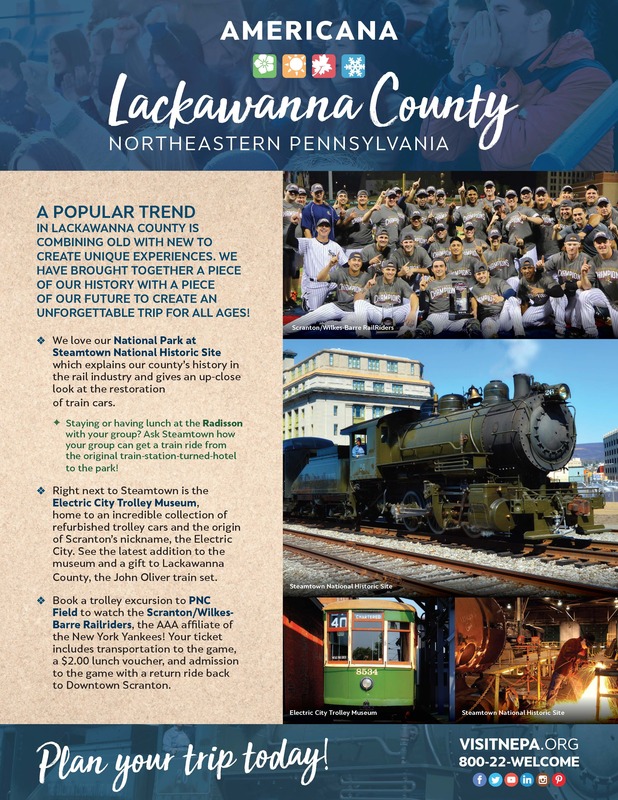 The Lackawanna County Visitors Bureau can help customize your next reunion to make it the perfect experience for your group! 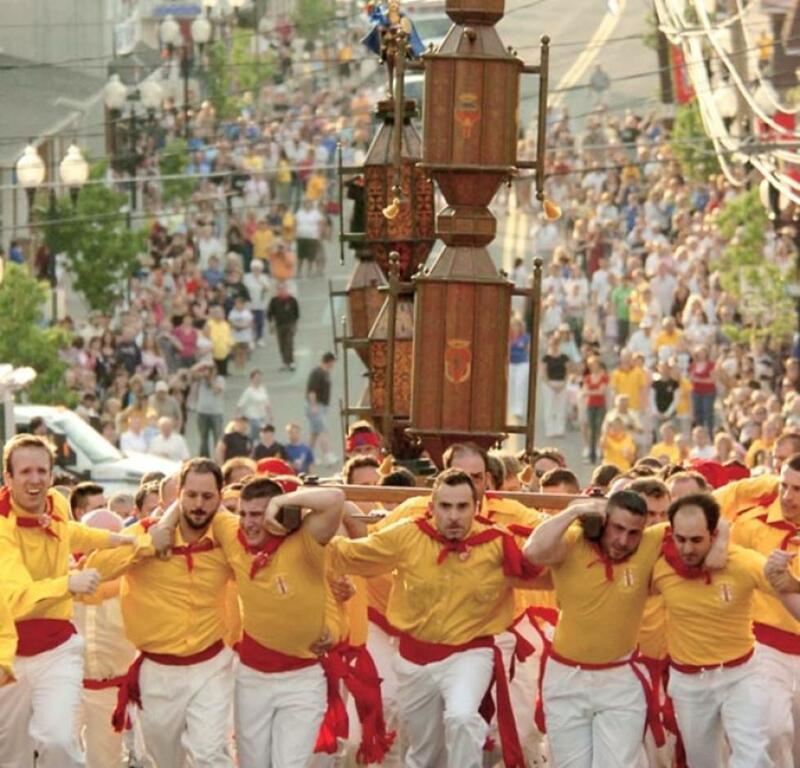 Find your favorite annual event or discover new happenings taking place. 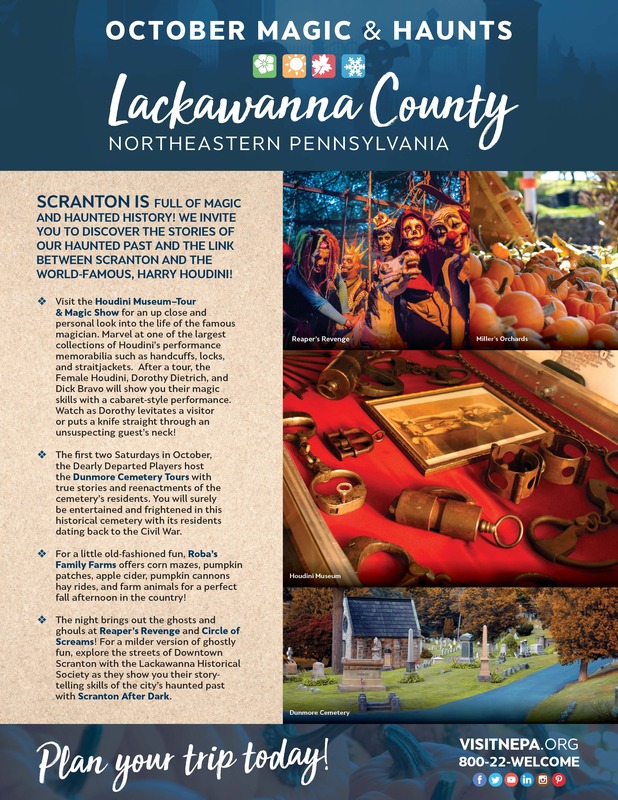 The Lackawanna County Visitors Bureau has made it easy for you with our Events Calendar to get the scoop when activities are announced! 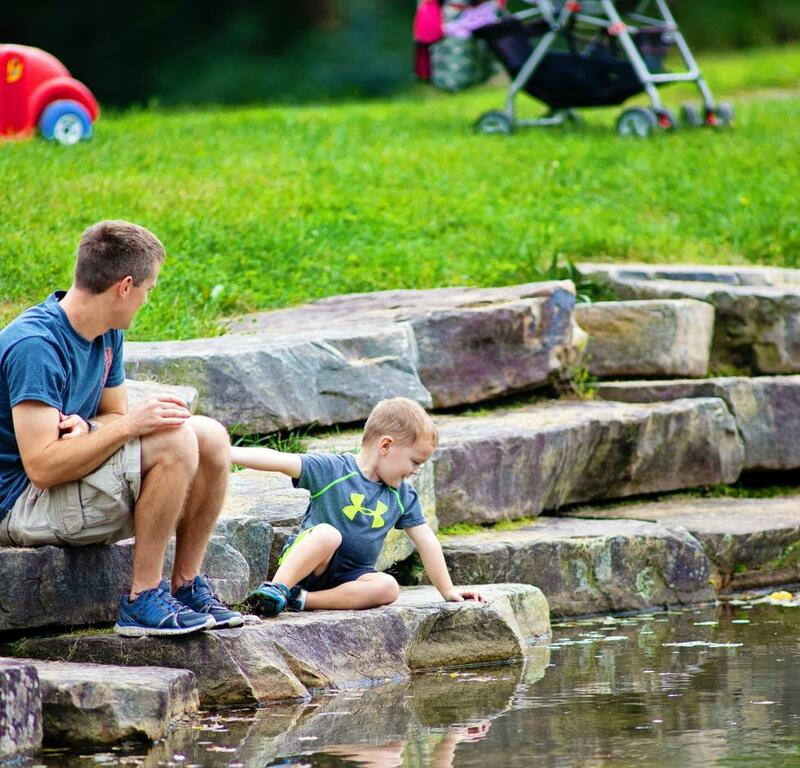 The Electric City is bustling with the arts! 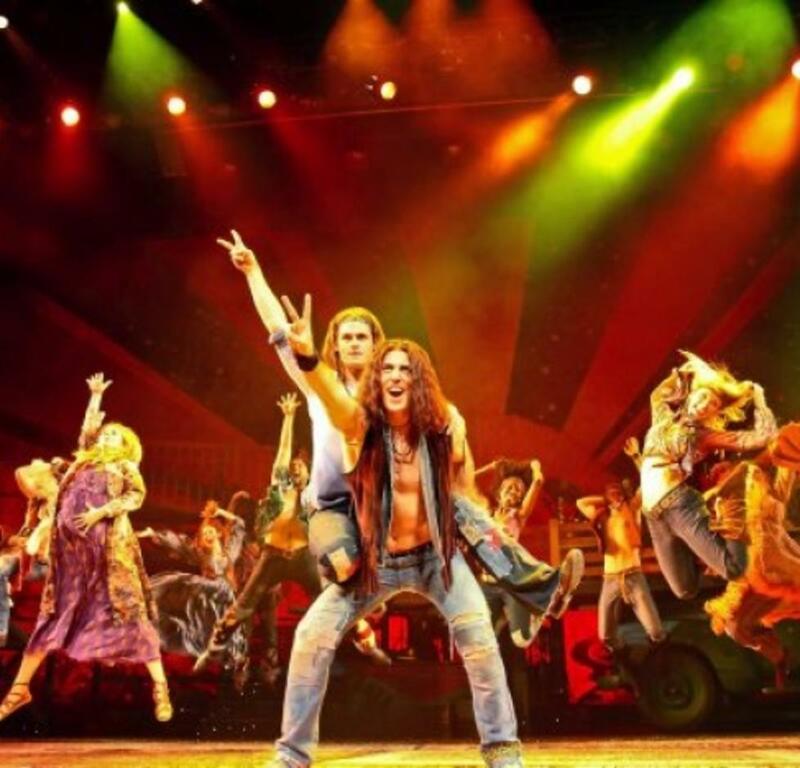 Go to a Broadway show at the Scranton Cultural Center at the Masonic Temple or plan your trip around Scranton's Fringe Festival. 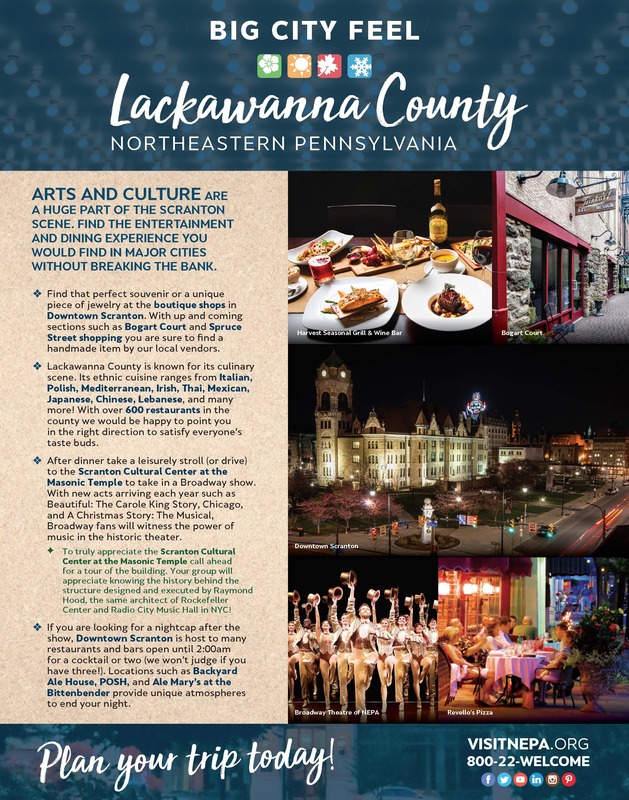 Visit Lackawanna County to get big city entertainment without breaking the bank. Surrounding the city of Scranton are beautiful mountains and vast countryside. 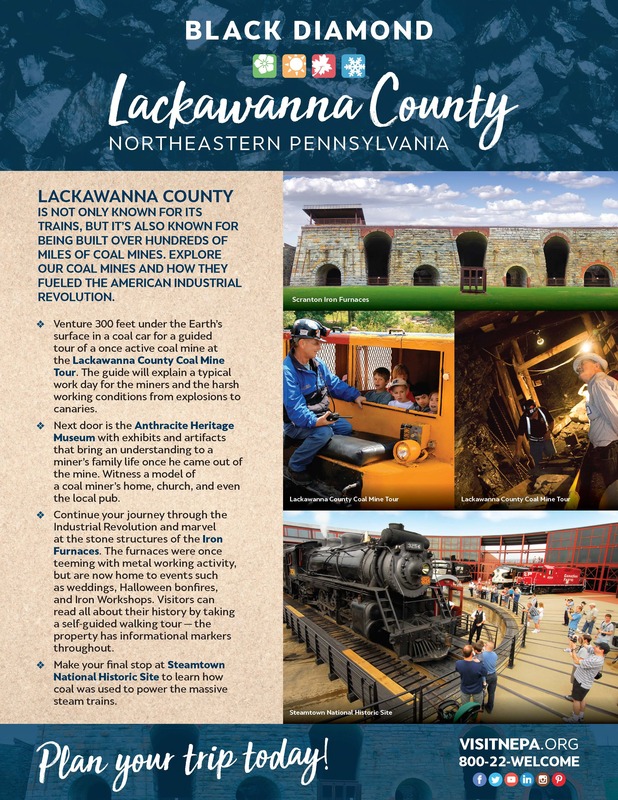 Discover its natural beauty on any of our hiking trails, including the Lackawanna River Heritage Trail encompassing 70 miles! 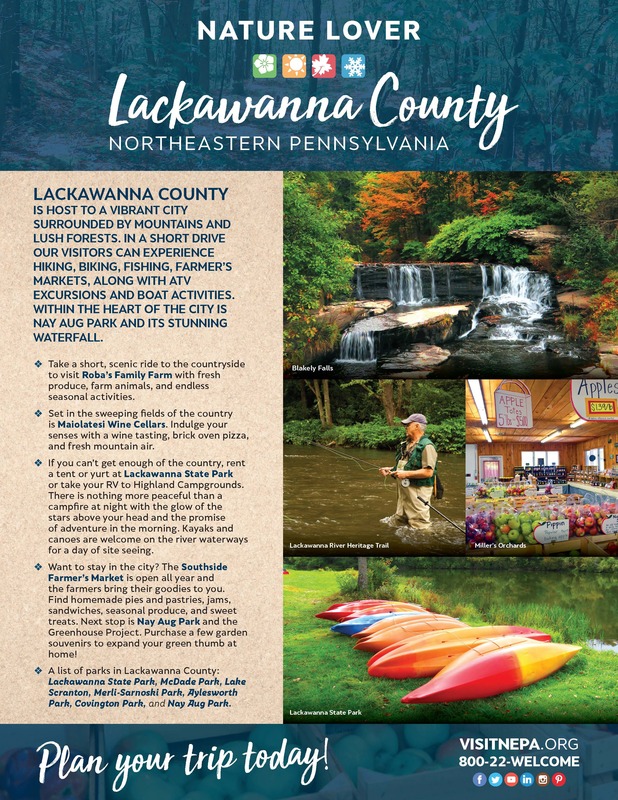 Zip-line on top of Montage Mountain Resorts for a sky-high view of the entire valley or find yourself kayaking the Lackawanna River; Lackawanna County provides numerous parks and activities for even the biggest outdoor fans.